Fairview Memorial Park in 2017. 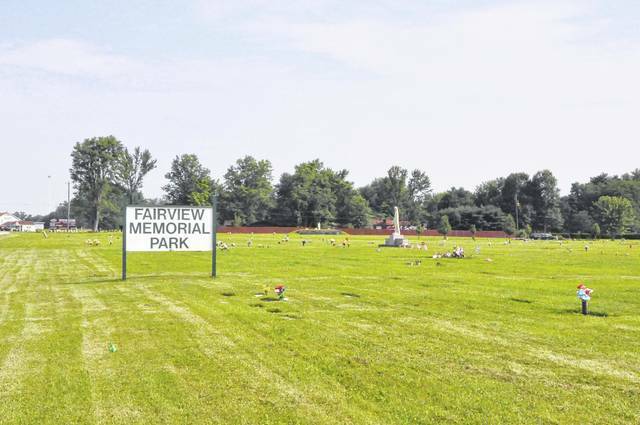 Berlin Township has filed a motion in Delaware County Common Pleas Court asking a judge to reconsider his recent decision to transfer Fairview Memorial Park to the township but allow one parcel of land to be sold by the receiver. The originally owners of both parcels of land, Theodore and Arminda Martin, are currently in prison after pleading guilty to theft charges for taking money for plots and items at the cemetery but never following through with the orders. In May 2017, Delaware County Common Pleas Judge David M. Gormley appointed A.C. Strip, a Columbus attorney who has handled cemetery receiverships before, to be the receiver for the cemetery. Since then, Strip has been working to find a buyer for the cemetery, and in April of 2018, Strip asked for approval to sell a small portion of the cemetery as well as the undeveloped land adjacent to the cemetery. Berlin Township then filed to join the case as a party, objected to the sale, and asked that it be given the cemetery and the adjacent undeveloped parcel of land. Strip and the township filed numerous arguments and motions since last April, and last month, Gormley ordered that ownership of Fairview Memorial Park, located at 5035 Columbus Pike in Lewis Center, be transferred to Berlin Township, and he ruled that Strip is allowed to sell the parcel of undeveloped land that borders the cemetery. Berlin Township filed a motion last week contesting the ruling and asking Gormley to also transfer control of the undeveloped land to the township, arguing that the cemetery consists of both parcels. “…the existing record details that the Delaware County Prosecutor, the Receiver, and this Court have recognized that the cemetery consists of both parcels,” writes Christopher A. Rinehart, Berlin Township’s attorney in this case. Rinehart also argues that the taxes that have been paid on the undeveloped parcel were paid under the cemetery code. Additionally, Rinehart argued that if Gormley denies the township’s motion to get the second parcel and the parcel is sold, the proceeds of the sale must go to the operations of the cemetery. Rinehart also requests that if Gormley denies the motion, he give the township extra time before he issues a final ruling so it has time to conduct discovery and review documents possessed by the receiver. Gormley has not yet filed a response to Berlin Township’s motion. In his ruling last month, Gormley wrote that though Berlin Township does not distinguish between the two parcels of land, there’s no reason for the two parcels to be treated the same.